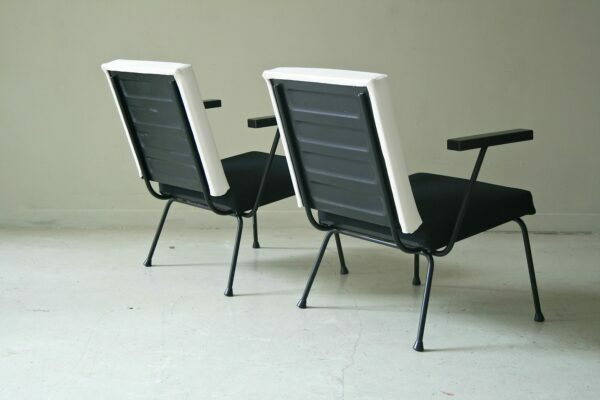 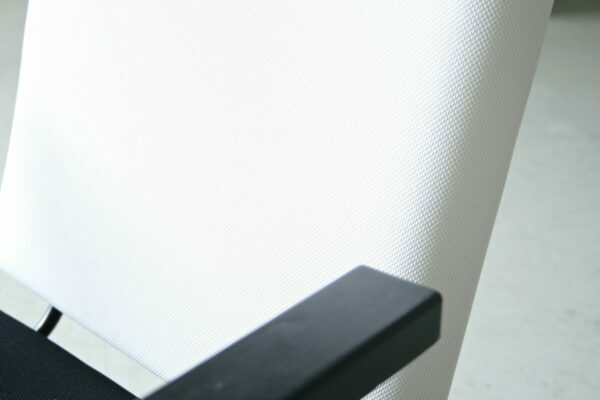 A pair of Gispen 1401 easy chair, designed by Wim Rietveld in 1954 and produced by Gispen. 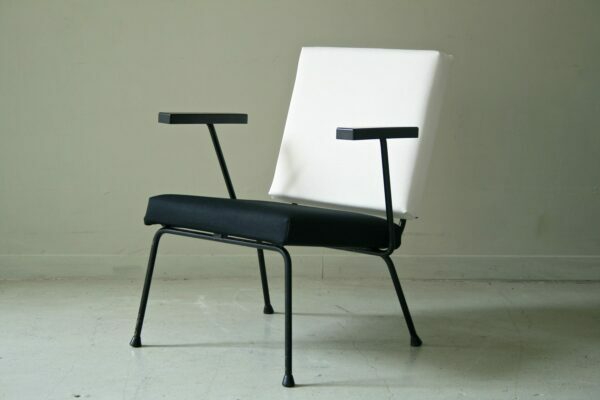 The chair won on the 10th Triennale of Milano in 1954 a golden medal. 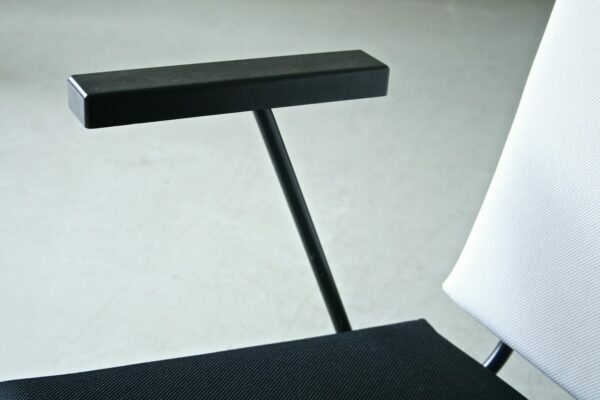 Black metal frame, black steel plate seat and backrest, bakelite armrests. 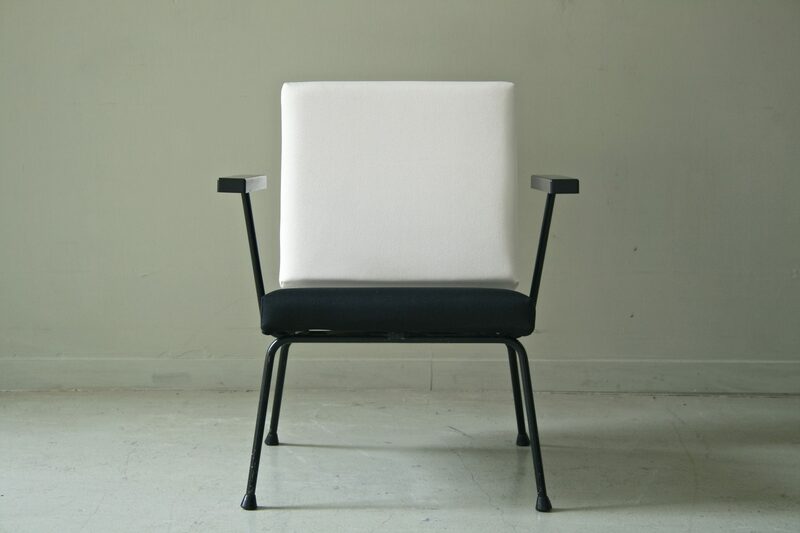 Newly upholstered with black/white fabric and new foam. 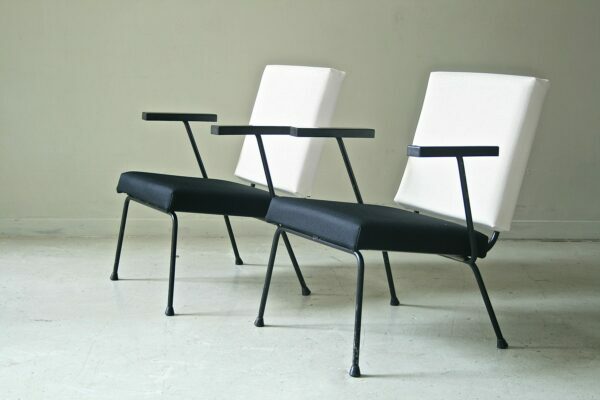 In excellent condition, just some minor wear on the frame.